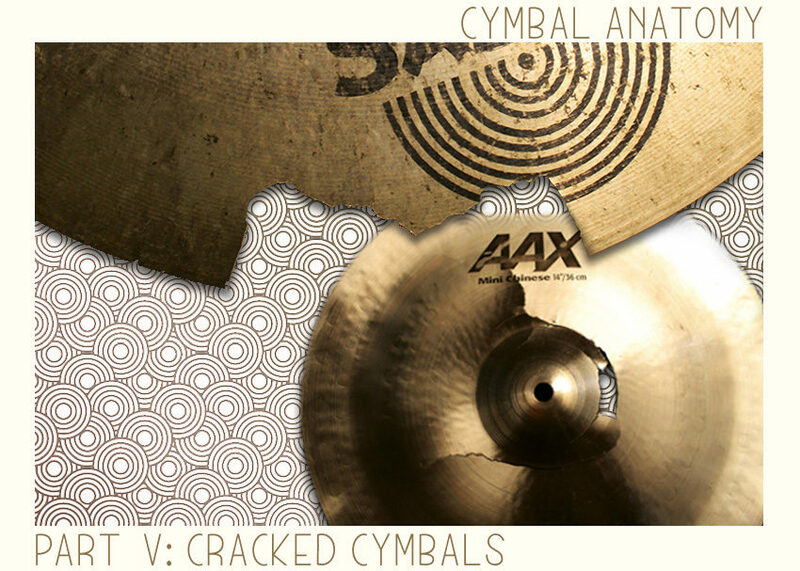 The dreaded cymbal crack is an issue that plagues drummers of all sects, and also plagues their bank accounts. This article will cover some basic dos and don’ts as general guidelines (and not a rule book). One of the best things I ever did for my drumming was lowering my cymbal stands. A lot of drummers get into a tendency to play with their stands very high up. I think this is mostly due to young drummers not being sure how to set up a drum kit, but also from the imagery of famous rock drummers with their cymbals held high up in the air — because what’s more rock and roll than reaching to the skies to come thundering down on a crash? Here’s the problem with setting your stands up too tall: you have to use more force to reach the cymbal. This is pretty self-explanatory stuff, but often overlooked. Bringing your stands down not only allows you to use less force when playing, it also comes with the benefit of being able to move around your kit much faster. A good general rule of thumb is to keep your elbow at an angle of about 90 degrees (of course this will fluctuate slightly depending on overall kit set up, and/or being in the heat of an intense live show). Also pay attention to the angle at which your cymbal rests. Your stick should really never hit a cymbal at more than a 45 degree angle. 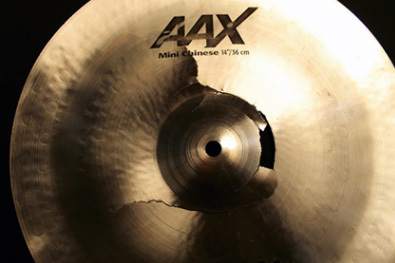 You want your attack on the cymbal to flow freely through it, which implies a smoother overall impact on your cymbal. When your stands are set lower, your cymbals can be nearly parallel to the floor and they will be more dynamic to your playing, and you won’t have to work so hard to make them sound huge. We could talk playing technique all day long, but I’m going to focus on one thing in particular that a lot of self-trained drummers may have never learned: play with your wrists and not your elbows. Generally when playing, your elbows should help navigate your wrists to go where they need to go. My best advice for practicing this technique is to just hammer out 16th notes on your snare. Start very quietly and gradually get louder – but only use your wrists to control the dynamics. There are a ton of videos of this online, and plenty of rudiment books to get your technique up to pace. These are good things for even a very seasoned drummer to reference back to. You can’t work on your technique too much. Practicing makes us better. Something I cannot stress enough is buying the right cymbal the first time around. Do as much research as you can, watch videos, read reviews, etc. It’s not going to help you long term to keep shuffling through cymbals (whether for tonal preference or for breakage). You don’t have to buy the most expensive cymbal on the market to have a cymbal tone that works for you and your band, but sometimes looking at the next series up can really help you. Cymbals come in all different types of alloys (which we will cover in a later article) and that typically has the biggest impact on price point, and sometimes also affects overall longevity or durability in a cymbal. 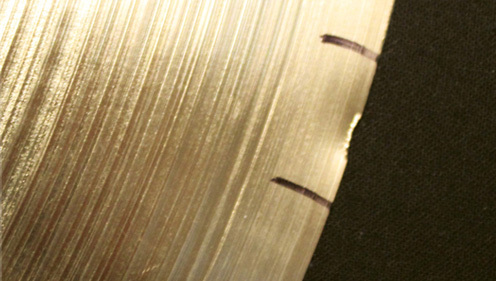 Pay attention to what is supporting your cymbal. Cymbal sleeves are really never acceptable to pass up on. Replacements are super affordable and it doesn’t really hurt to have extras lying around. Something a lot of drummers do that I think is great, is ditching the top cymbal felt. This allows the cymbal to move more freely on a stand (as well as giving you more access to the bell). A bad habit some drummers develop is over-tightening a cymbal onto the stand. This is perfectly avoidable even with a top felt, but when you remove the top felt altogether, you can never really over-tighten the stand. Be careful if you have metal wing nuts as cymbal fasteners though, because your cymbal can scrape on those if they are screwed too tightly. At the end of the day, things happen. Some drummers will break cymbals, probably until the end of time. Like I mentioned at the beginning of the article, these are just guidelines that you might find helpful. For what it’s worth I have been a drummer for 15 years and following these guidelines has allowed me to never break a cymbal in my drumming career.